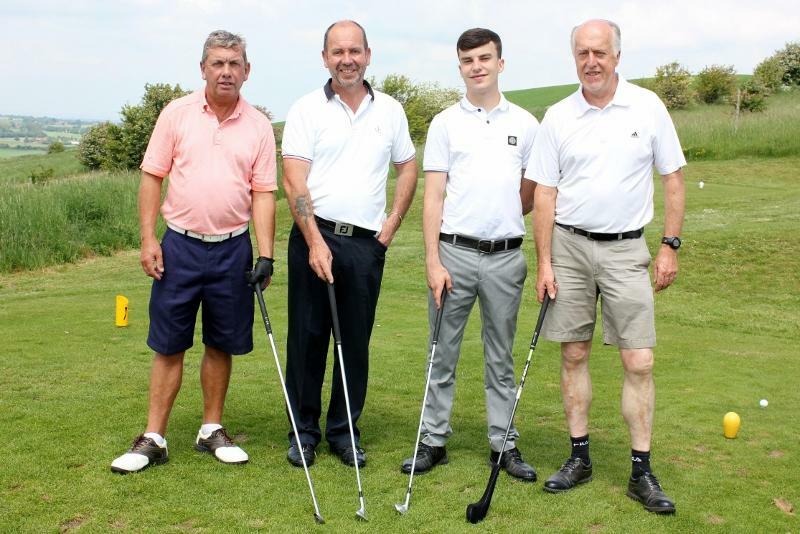 A Charity Golf Day sponsored by Home in Town Ltd and organised jointly by the Rotary Clubs of Swindon North and Swindon Thamesdown and promoted in aid of the Wiltshire based award winning charity INNER FLAME. It's an 18-hole Stableford Competition - entries invited from teams of four - shotgun start at 1pm - a minimum of 3 team prizes and 2 individual prizes to be won. Play for the men from the Yellow Tees and for the ladies from the Red Tees. Stroke allowance of a full handicap with a maximum of 24 strokes for the men and 36 strokes for the ladies. Ladies will receive 2 courtesy strokes off the men's card. The day ends with a dinner at 6pm and the presentation of prizes. Ogbourne Downs Golf Course will be closed for the exclusive use of the Competition during the event. Why not enter a team? You are promised a most enjoyable and worthwhile day made even better in the knowledge that the proceeds will be going to charity. To recognise that this is the 25th anniversary of this annual event the entry cost is reduced to just £160 a team. All applications will be treated on a first come, first served basis. All proceeds will go to the Wiltshire based award winning charity INNER FLAME. You can also sponsor a tee for £20 and have your name in front of all the players for the day.